Our customers find all our blinds, shades and shutters easy to measure & install. Along with your order, you'll receive simple to follow installation instructions. And if you have a question, our trained and experienced team is ready to assist you by phone or email. But just in case you don't have the time, have hard-to-reach areas, or would prefer an expert to measure or install your blinds for you, we offer Professional Measurement & Installation services. Our team of professionals are pre-screened including a police background check, and will arrive at your home or business uniformed and badged. There is a 1 year warranty on the installation labour. Choose the items you need professionally measured and/or installed; your total shows at the bottom of the page. 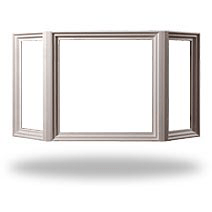 If you need Professional Measuring of windows for shutters as well as other blinds and shades, please include the windows with shutters in your order for measuring here. You will be able to order Professional Installation for Shutters once you have added shutters to your shopping cart. How many windows do you need measured? How many horizontal blinds and/or shades do you need installed in total? ? How many verticals do you need installed in total? ? Are any of these windows Bay Windows? ? Do any of your windows meet in a corner? Are any of the windows over 10’(ft) high? Do you need your existing windows coverings removed? Will your window coverings need to be installed into concrete? When is the best time to contact you to discuss your installation/measurement appointment? Which is the best way to contact you at the assigned time? -Customer must be present in the home at the time of installation. -Installer will call the customer within 48 hours (2 business days) upon receiving the order. -Customer to remove all items from installation area the day before the installation is to begin. -Children and Pets must be kept out of the service area for safety reasons for the duration of the install. -Site accessibility, electricity, and light must be provided at the time of installation.